Chrismix candy is a sweet and salty chocolate toffee. Made in New Hampshire. There are no artifical flavors or preservatives used to make my candy. The flavors in Chrismix are layered and very natural tasting. My ingredients are derived from high quality organic emulsions and extracts from a local company in MA. Each fruit flavor profile tastes like you are biting into the fruit. Every recipe contains a slight undercurrent of cayenne. 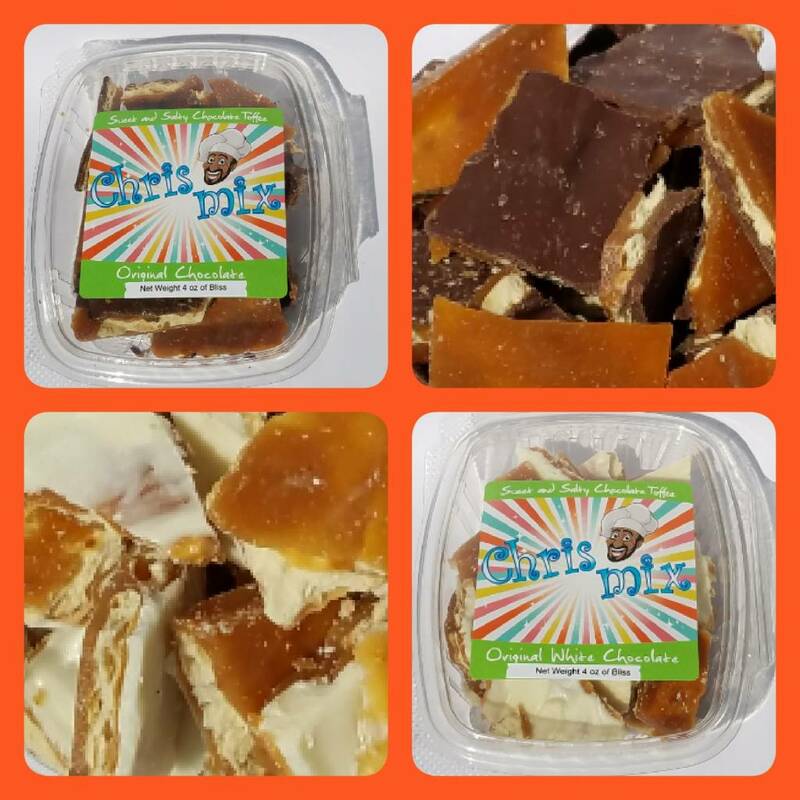 My goal is not to make the candy taste spicy, it's delicate purpose aims to only enhance the flavor combinations within each bite and to encourage a longer aftertaste. This unique effect is very satisfying. "Let my chocolate mix satisfy your sugar fix! You'll want more than a little of my brittle."